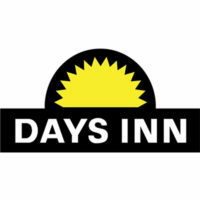 Days Inn is a group of hotels that cater to millions of patrons. The hotels offer economy rates that attract budget-conscious people. Despite economy rates, the hotel rooms are clean and excellent. Cecil Day founded the company in the 70’s with Georgia being the first location. In the 80’s, Mr. Day sold the company. However, the acquirers took the company to bankruptcy. To date, Wyndham Worldwide owns Days Inn. It has more than 1000 locations worldwide, including China, Canada, and the United Kingdom. The company franchises its brand to interested entrepreneurs. It provides a complete support package to its investors. Employees receive many benefits. These include paid training, employee discounts in any affiliated hotel and uniform allowance. For long-term employees, they receive insurance coverage and participate in retirement plans. People like to work in Days Inn because of its diversified culture. The company is a proud equal opportunity employer. It hires individuals based on work experiences and educational achievements. How old do you have to be to work at Days Inn? You must be at least 18 years old. The company also offers internship programs that last for 12 weeks. For more details, check their site. Guest Service Agents: They greet patrons and answer patrons’ inquiries. They should be knowledgeable of all the amenities offered by the hotel. Service agents maintain guest’s logbook. Community Marketing Agents: They find qualified tours and book guests to the hotels. They ensure booking procedures are in accordance with the company policies. Agents are the press relation officers of the sales and marketing department. Therefore, they must be friendly. Housekeeping Dispatchers: They ensure the smooth flow of housekeeping services. They support the general housekeeping department. Dispatchers act as liaisons between housekeeping employees and hotel guests. Housekeepers: They clean the hotel rooms. Housekeepers change bed linens, collect trash and report problems, such as maintenance issues and supplies shortages. They vacuum the carpet and replenish bathroom supplies, among other things. Other entry-level positions are casual room attendant, food and beverage assistant, activities associate, gift shop associate, and laundry associate. Supervisory positions are guest services supervisor and housekeeping supervisor. You can apply by creating an online account with the company site. You may also call any of the hotel numbers to inquire about the specific procedures or preference of application. The company accepts both online and personal application. For convenience purposes, especially if you plan to apply in hotels in other locations, opt for the creation of an online profile. Include activities related to the hospitality industry. If you can visit a Days Inn hotel, personally, do so. It may increase your chance of hiring. Individuals without working experience may apply, but the company may prefer those with a six-month related experience. A certification on housekeeping or hospitality may be beneficial. Some hotels may require you to show your housekeeping skills if you are applying for a housekeeper position. Be prepared for a practical interview. Attend the interview in business attire even if the position is housekeeping. The company’s motto is Count on Me! Throughout its operating years, it served millions of customers, making their vacation memorable and worth repeating. The hotels are part of the Wyndham rewards system. Hotel guests can earn 15% off discounts or lower rates if they stay for 2 more days. Days Inn was the first hotel to give discounts to senior citizens. It also was the first to operate along rural and suburban exits. It provided affordable accommodations to travelers. Days Inn gives back to the community by accepting donations to its many organized charity events. However, before it can accept donations, charity organizations must make an online request through the parent company.